Current selected tag: 'how to draw feet'. Clear. A comprehensive tutorial explaining the anatomy and characteristics of the human feet. The guide also explains the different contour lines that make up the shape of each foot. 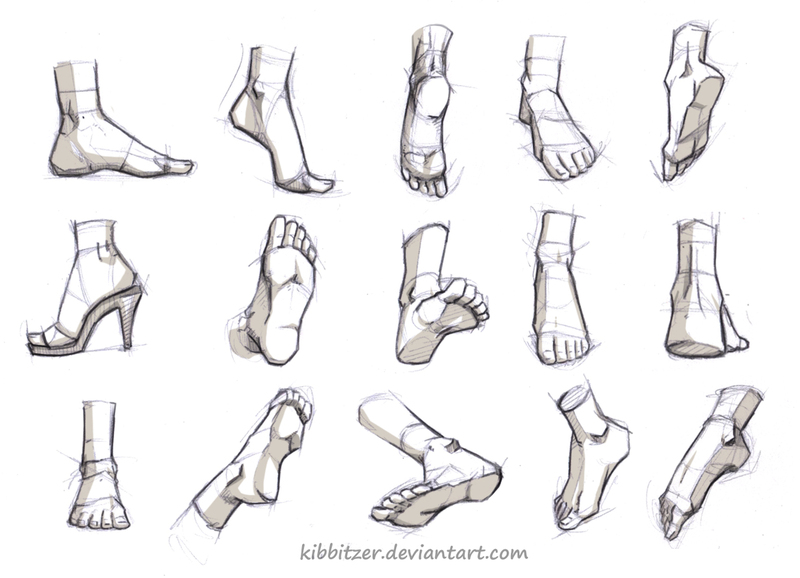 This reference guide explains everything you need to know about drawing human legs and feet. It covers everything from the muscle groups to the orientation of the bone inside the legs and feet. Legs and feet can be tricky to draw. Use this reference guide to learn about feet and leg proportions. "As with the hand, you should not hesitate to take off your shoes and use your own feet as references, when the setting allows it! The bones of the foot are arranged to form 3 arches that give it the strength to support our bodies. The first two shape the bottom of the foot and the third the upper part. Squeeze the sides of your foot and note how rigid they are: the bottom of the foot is not soft and does not deform under pressure. This means that no matter the position of the foot, the indentations of the arches will always show in an adult foot." Feet are probably the least talked about part of the anatomy, even though we wouldn't be able to stand without them. Drawing feet uses the same approach as drawing hands, except for a few minor details. 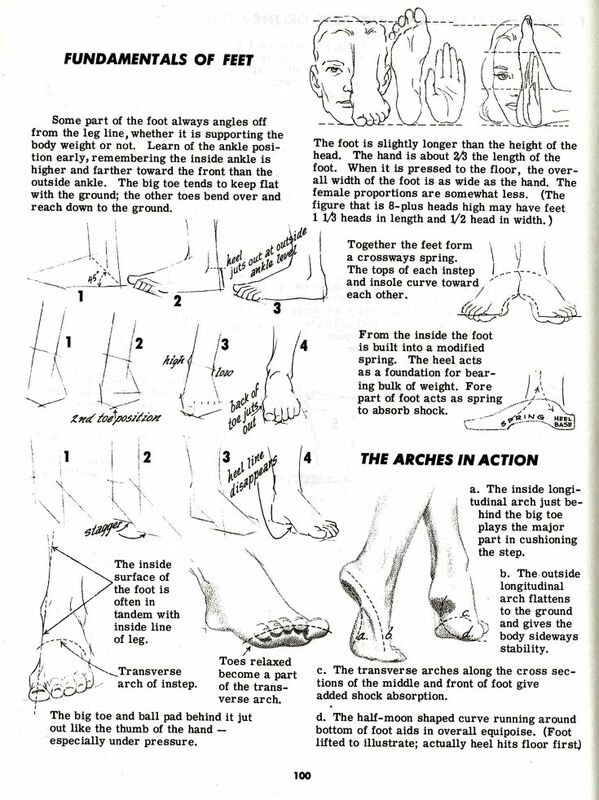 This comprehensive reference guide contains useful tips about how to draw feet at different angles. The guide is organized into multiple sections with relevant information and images describing the structure of the feet, and proportions of the toes relative to the foot.